MOSCOW, August 28. /TASS/. The decree on Ukraine’s secret military cooperation "with individual countries" is a big strategic mistake of Ukrainian President Petro Poroshenko, First Deputy Chairman of the Federation Council Committee on International Affairs Vladimir Dzhabarov told TASS on Friday. Earlier on Friday, Poroshenko has signed a decree on enactment of the decision of the National Security and Defense Council on Ukraine’s military and technical cooperation "with individual countries." The list of the countries is classified. "I think that, unfortunately, this is a big strategic mistake of the Ukrainian president," Dzhabarov said. He noted that "Ukraine was under the external control of the Western allies, above all, the United States, and "in actual fact, it is no secret." "Poroshenko does not conceal that he is seeking a military alliance with Western countries. Against whom — it is clear as well," the parliamentarian noted. Meanwhile, member of the Federation Council International Affairs Committee Igor Morozov has described Poroshenko’s decree as "another step to increasing military activity with the NATO countries." 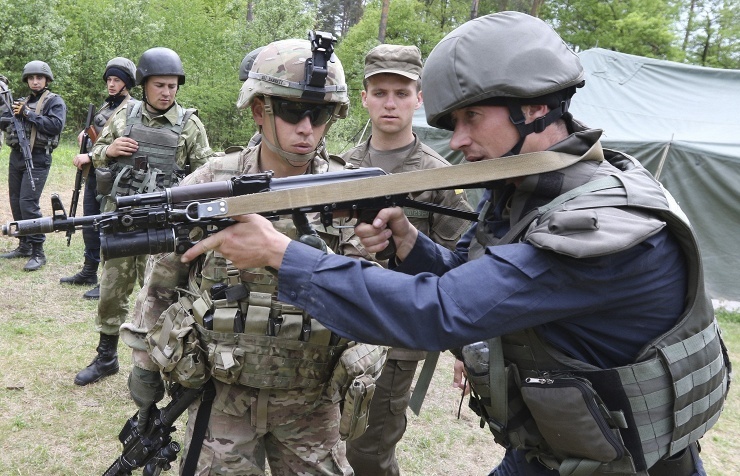 "Despite all the statements that we hear from NATO officials, I think that Ukraine will be drawn more and more in the bloc’s military exercises," he said. According to the senator, in the foreseeable future Ukraine "will be just a reserve force and ‘food for powder' in promoting the US interests."